The early history of the Groom Lake test site, from 1955 to the mid 1980s, is fairly well known. In recent years, thousands of pages of documents have been declassified, revealing details of test programs involving the U-2, A-12, and foreign types such as the MiG-17 and MiG-21. 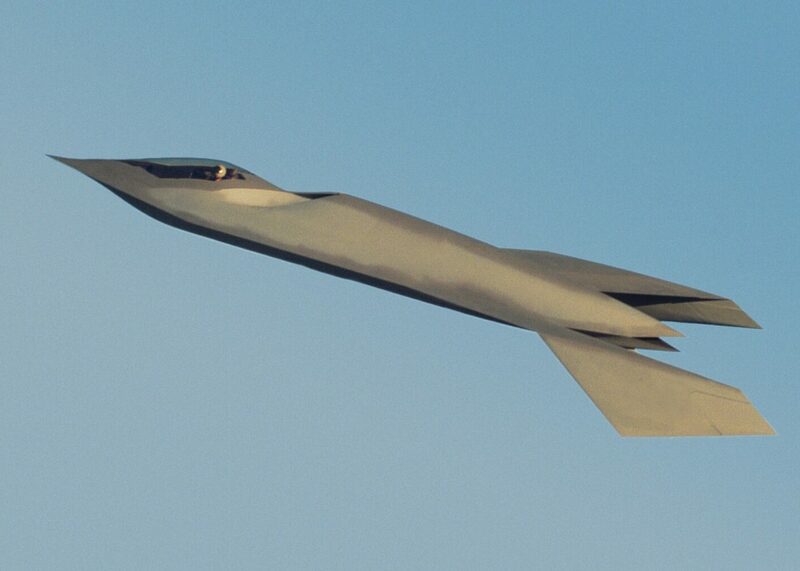 Many of the early low-observable (or stealthy) aircraft designs such as HAVE BLUE, SENIOR TREND, and TACIT BLUE have also been unveiled to the public. We are only beginning to learn about some of the programs that followed. On October 18, 2002, Boeing uncloaked its secret Bird of Prey technology demonstrator that was used to pioneer revolutionary advances in low-observables, aircraft design, and rapid prototyping in the late 1990s. But, how many more programs have yet to be revealed? While many current and historic programs at Dreamland remain classified, some information has been released to the public through formal announcements, published technical papers, and official personnel biographies that often reveal details of previously "black" projects. By these means, it is apparent that there have been at least seven (and possibly as many as 11) classified manned aircraft flown at Groom Lake since the mid-1980s that have yet to be unveiled. This doesn't include the modified aircraft, foreign aircraft, or ordinary platforms (C-130, F-16, etc.) carrying experimental avionics, or unmanned classified aircraft. Since the late 1970s, the Groom Lake facility has been operated by Detachment 3 of the Air Force Flight Test Center (DET 3 AFFTC) under Air Force Systems Command (AFSC) and later Air Force Materiel Command (AFMC). 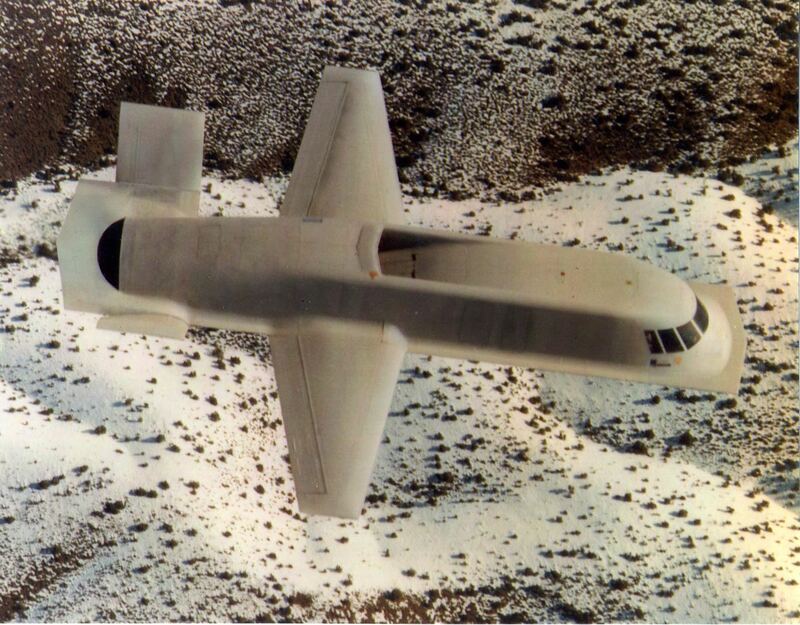 Frank T. Birk piloted the first flight of a "classified advanced technology demonstration prototype" at Groom Lake in August 1983. He flew two additional flights for envelope clearance, stability and control, and initial systems evaluation. 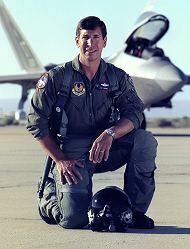 During his career, Birk served as a test pilot for the 6512th Test Squadron at Edwards Air Force Base, B-1A Test Program Director of Operations, B-1B Combined Test Force Director of Flight Test, Chief Test Pilot for three different joint NASA/USAF F-111 experimental programs, Chief of the B-1B Division at Strategic Air Command Headquarters, Commander of the 412th Test Group and Director of the B-2 Combined Test Force at Edwards Air Force Base. When he retired, he was the most highly decorated pilot in the Air Force. He had 7,200 flight hours in more than 65 aircraft and logged more than 1,100 hours of experimental flight time. He was a semi-finalist in NASA's Group 10 astronaut selection in 1984. The Society of Experimental Test Pilots gave Birk the 1986 Lieutenant General Robert M. Bond Memorial Aviator Award that "recognizes an AFSC military rated crew member for outstanding contribution to AFSC's test and evaluation mission while participating in aerial duties." Daniel R. Vanderhorst was unknown to the public until Northrop’s TACIT BLUE was publicly unveiled in 1996. 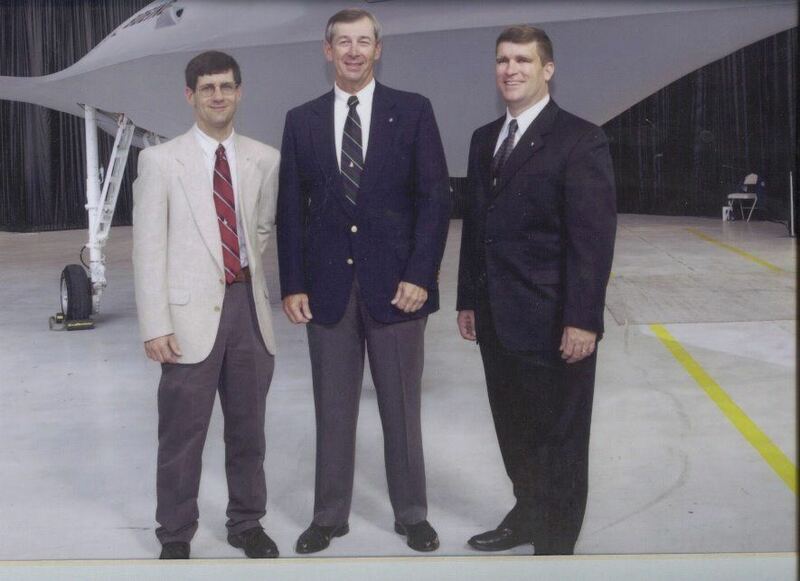 In October 2004, Vanderhorst was honored at the Gathering of Eagles banquet in Lancaster, California, a fundraiser for the Air Force Flight Test Center Museum. Unfortunately, he was unable to attend because he was working on another classified program. There was some excitement when his biography was read at the event because it claimed that Vanderhorst had "flown seven classified aircraft to date," and that many of his flights were in one-of-a-kind technology demonstrators. It was further noted that he had flown a one-of-a-kind demonstrator aircraft in which he flew "first flight with modified landing gear, first flight with internal bays installed, first flight with bay doors open, separation tests" and that "he holds the altitude record in this aircraft." Internal bays with doors that open and close are associated with airborne weapon platforms such as the F-117A and F-22. Tests involving opening and closing the doors in flight, and weapon separation tests are fundamental aspects of clearing an aircraft through various parts of the flight envelope. 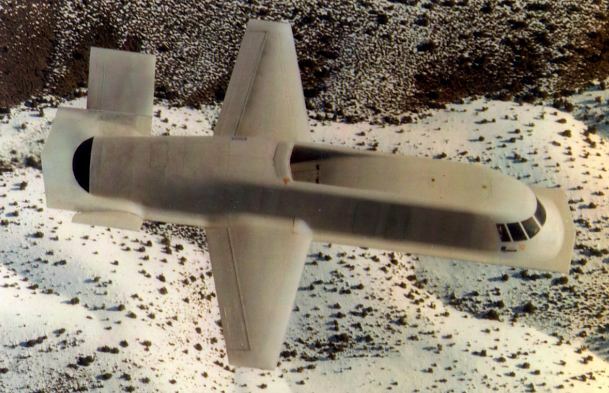 Since TACIT BLUE was reportedly developed as a surveillance platform with an altitude range of 25,000 to 35,000 feet and apparently no armament, the description of Vanderhorst’s test activities sounded as if it involved one of the six mystery aircraft he had reportedly flown. The truth, however, was quite different. Vanderhorst was assigned as TACIT BLUE project pilot at Detachment 3, AFFTC, from 1983 to 1987. Between May 1984 and February 1985, he flew 17 flights in the one-of-a-kind demonstrator including the first with modified gear, envelope-clearance tests with bay doors open, and separation tests. He achieved the highest flight in the aircraft, taking it to the upper limits of its performance envelope. He then closed out the program’s activities as director of the TACIT BLUE Combined Test Force. He then served as Chief of Safety at Detachment 3 where most of his flying involved chase and passenger transportation. Occasionally, he flew test sorties to check out minor modifications involving transmitters or data-collection equipment. On occasion, when an experimental device was attached to the exterior of an aircraft, he flew a few flights to confirm the effects of the modifications on the airplane’s performance and flying qualities. After retiring from the Air Force in 1989, he became a civil servant and Director of Test for the 413th Flight Test Squadron. He continued to fly the fleet of support aircraft. 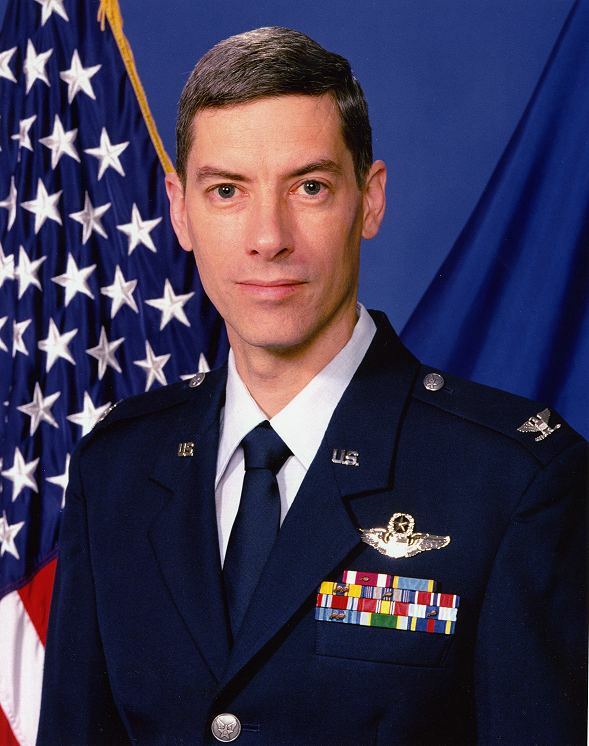 From 1999 to 2001, he served as Deputy Director of Plans and Programs at Detachment 3 and then became Technical Director for the Operations Group. He also flew chase and support missions for flight-test projects. So how did the legend of Dan Vanderhorst and the "seven classified aircraft" originate? Quite simply, in putting together a short biography for the Gathering of Eagles banquet, someone unfamiliar with the details of Vanderhorst’s career inadvertently garbled several pieces of information. A list of seven consecutive months of flying sorties in TACIT BLUE (the aircraft type was listed simply as "Classified") was misconstrued as a list of seven different aircraft. Specific information about test activities (modified gear, bay doors, etc.) pertaining specifically to TACIT BLUE was vaguely worded and easily mistaken for a description of another aircraft – especially when the existence of six others had already been implied. These simple mistakes spawned much Internet discussion by aircraft enthusiasts, as well as several magazine articles. Thus, legends are born. 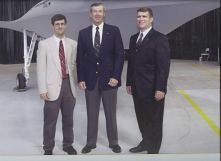 In the early 1990s, Dennis F. "Bones" Sager was handpicked to command a "Classified Flight Test Squadron" that led a "classified prototype aircraft" called the YF-113G "from design to first flight." As a fighter pilot and experimental test pilot, Sager accumulated over 2,900 flight hours in 54 aircraft types including Soviet fighters when he was assigned to the 6513th Test Squadron (Red Hats) at Groom Lake. 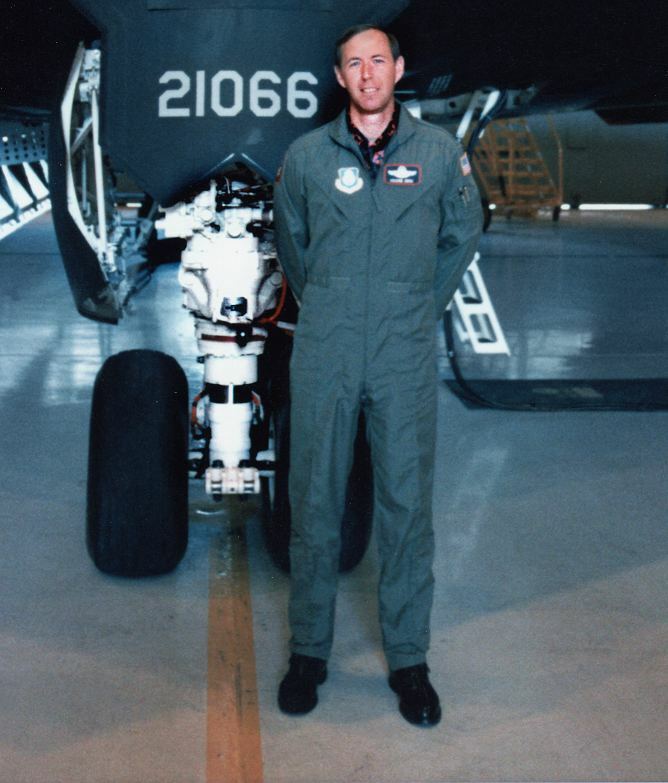 He was first Air Force pilot to fly the YF-113G. Contrary to reports in Aviation Week & Space Technology magazine, this was not a Mig-23 and may not have been a foreign type at all. The confusion comes from the fact that other YF-113 designations (i.e. YF-113A, YF-113B, YF-113C, and YF-113E) have been used for various models of MiG-17, MiG-23, and other foreign aircraft. Because of the YF designations (usually denoting a prototype fighter plane) and the experimental and developmental nature of their test work, Red Hats pilots refer to their aircraft as "classified prototypes." Sager had been a Red Hats pilot and at least one other member of that squadron is known to have flown the YF-113G, but the words "from design to first flight" suggest an altogether new type of aircraft. Doug Benjamin served as Chief of Safety at Detachment 3, AFFTC, before being assigned as commander of the Special Projects Flight Test Squadron in June 1996. 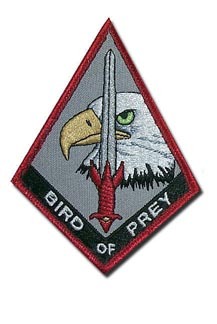 He was the only Air Force pilot to fly the McDonnell Douglas/Boeing Bird of Prey. 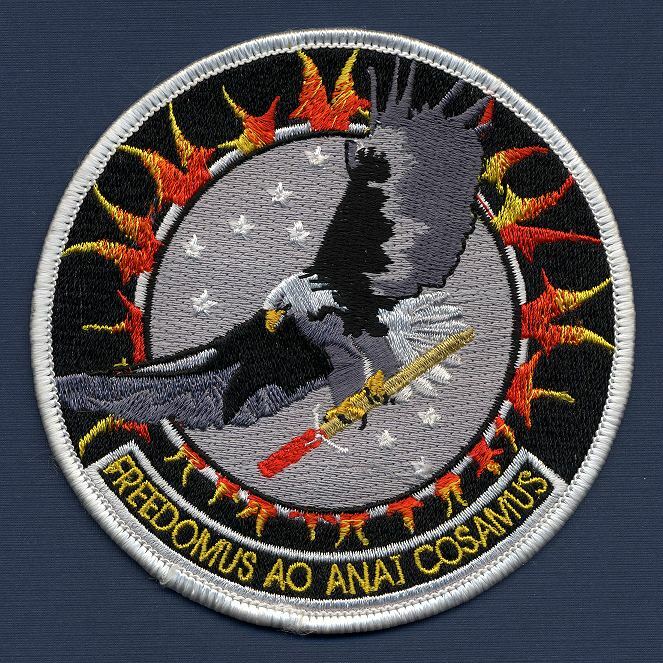 He flew 21 test flights including envelope expansion, mission utility, and tactical applications sorties. In April 1997, he was promoted to Operations Group commander. Following Benjamin's retirement from military service in May 2000, it was revealed that he had flown three other classified aircraft during the last half of a 20-year Air Force career. 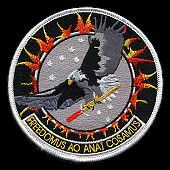 His biography aspresented for the 2004 "Gathering of Eagles" noted that he "flew on and commanded avariety of classified programs." 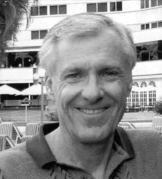 Joseph A. "Broadway Joe" Lanni flew first flights of two classified prototypes during the 1990s. One of them was designated YF-24, a departure from the traditional use of three-digit identifiers for classified aircraft (such as the YF-113G and YF-117A). 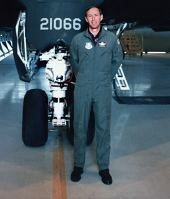 According to Lanni’s official Air Force biography, he served as assistant operations officer for the 6513th Test Squadron "Red Hats" (1992-1994), operations officer for the 413th Flight Test Squadron (1994-1995), commander of a "Classified Flight Test Squadron" (1995-1997), and vice commander of Detachment 3, AFFTC (2001-2002). Between 1992 and 1997 he flew hundreds of sorties in 10 different classified aircraft to evaluate performance, flying qualities, avionics, and military utility. His assignment to the "Red Hats" during this time suggests that many of these aircraft were foreign types but some may have been entirely new aircraft. Lanni has served as an operational fighter pilot, aggressor pilot, and experimental test pilot with more than 4,300 flying hours in over 70 different types of aircraft including numerous classified types. He was a semi-finalist in NASA Group 14 (1992) and 15 (1994) astronaut selections. When will these projects be unveiled? Historically, black aircraft have been unveiled from a few years to a few decades after the first flight. Will the pilots who flew these planes get a chance to bask in well-deserved glory? Birk, who died in 1993, failed to outlive the secrecy surrounding the project for which he was honored by the SETP. Vanderhorst remained in the silent service of the "black world," transitioning from military active duty to civil service. Benjamin became a test pilot for Boeing and has been involved with tests of the Wedgetail Airborne Early Warning and Control aircraft for the Royal Australian Air Force and the YAL-1A Airborne Laser testbed. Lanni, a rising star in Air Force leadership is unable to discuss his accomplishments. Sager said in 2003 that it is unlikely the YF-113G will be declassified anytime soon. During the test program he posed with the aircraft for a photographer, but the photo is still classified. "It's waiting for me in a vault, " he said, "if they declassify it."